Parkinson’s disease (PD), the second most common neurodegenerative movement disorder, is characterized by progressive motor and non-motor symptoms . Despite treatment with pharmacologic and surgical therapies, the disease will continue to relentlessly advance. Hence, there is a great deal of interest in potential disease-modifying therapies with the hope that the neurodegenerative process can be slowed or halted. The purpose of this review is to highlight the role toxic α-synuclein (α-syn) plays in PD pathogenesis and critically review the relevant literature about therapeutic modalities targeting α-syn. Toxic α-syn plays a key role in PD pathogenesis, disrupting important cellular functions, and, thus, targeting α-syn is a reasonable disease-modifying strategy. Current approaches under investigation include decreasing α-syn production with RNA interference (RNAi), inhibiting α-syn aggregation, promoting intracellular degradation of α-syn aggregates (via enhancing autophagy and enhancing lysosomal degradation), and promoting extracellular degradation of α-syn via active and passive immunization. Dr. Daniel Savitt declares that there are no conflicts of interest relevant to this work. Dr. Joseph Jankovic declares the following: research/training funding—Allergan, Inc., CHDI Foundation, Civitas/Acorda Therapeutics, Dystonia Coalition, Dystonia Medical Research Foundation, F. Hoffmann-La Roche Ltd, Huntington Study Group, Medtronic Neuromodulation, Merz Pharmaceuticals, Michael J. Fox Foundation for Parkinson Research, National Institutes of Health, Neurocrine Biosciences, Parkinson’s Foundation, Nuvelution, Parkinson Study Group, Pfizer Inc., Prothena Biosciences Inc., Psyadon Pharmaceuticals, Inc., Revance Therapeutics, Inc., Teva Pharmaceutical Industries Ltd, and US WorldMeds; consultant/advisory board—Allergan, Inc., Merz Pharmaceuticals, Prothena Biosciences Inc., Retrophin, Inc.–Parexel, Revance Therapeutics, Inc., and Teva Pharmaceutical Industries Ltd; royalties—Cambridge, Elsevier, Future Science Group, Hodder Arnold, Medlink: Neurology, Lippincott Williams and Wilkins, and Wiley-Blackwell. Denali Therapeutics announces positive clinical results from LRRK2 inhibitor program for Parkinson’s disease. 2018. http://investors.denalitherapeutics.com/news-releases/news-release-details/denali-therapeutics-announces-positive-clinical-results-lrrk2#ir-pages. Brys M, Ellenbogen A, Fanning N, Penner N, Yang M, Welch M, et al. 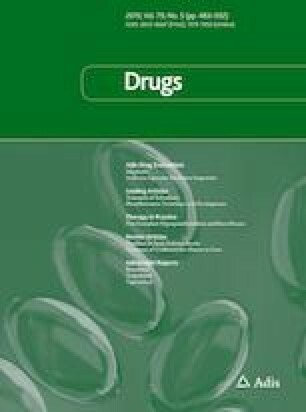 Randomized, double-blind, placebo-controlled, single ascending dose study of anti-alpha-synuclein antibody BIIB054 in patients with Parkinson’s disease. Neurology. 2018;90(15 Suppl):S26.001. http://n.neurology.org/content/90/15_Supplement/S26.001. Accessed 24 Mar 2019.